(9:30 a.m. EDT) -- In a cryptic press release, Vard Holdings Limited -- a subsidiary of popular cruise-ship-building shipyard Fincantieri -- announced that it had signed a letter of intent with Viking to build two "special" cruise ships. Viking has the option to order another two for a total of four. 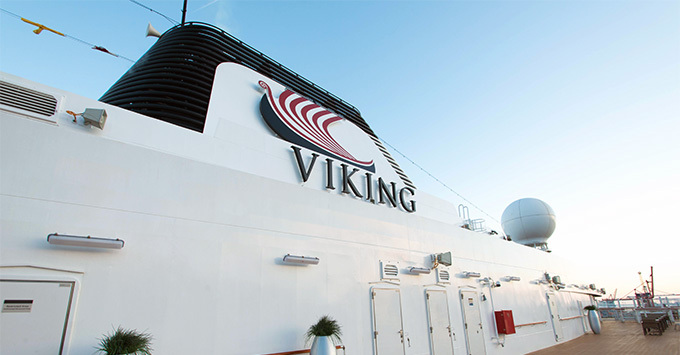 Viking is keeping mum about what's different about these new-builds. (When asked, a spokesperson declined to comment.) The only clues offered by Vard are that "the project, totally innovative, will be developed by Vard Design in close cooperation with the customer, according to the highest safety and reduction of the environmental impact standards, drivers which have increasingly greater weight also in the cruise sector." Some industry publications are speculating that the new ships will be LNG-powered or expedition vessels. Vard describes itself as "one of the major global designers and shipbuilders of specialized vessels" and is already building a "state-of-the-art electric hybrid cruise icebreaker with LNG propulsion" for Ponant, a cruise line that specializes in luxury expedition ships. The new Viking ships will be delivered in the spring 2021 and 2022. They won't be the only Viking cruise ships launching those years, as the cruise line is adding one new ocean ship in 2021 and two in 2022. Viking is not shy when it comes to building new ships. Should the cruise line exercise all of its options with Fincantieri, that shipyard will deliver 12 ocean-going ships between 2018 and 2027. Its river arm has seven riverboats debuting in 2019 alone.